After obsessing on so many Kdrama/variety shows, I finally made my maiden trip to Seoul! I've always been a "Japan" person, I mean Japan is usually on top of my list when I want to travel; I grew up in the Jdrama era, idolizing bands like SMAP and artistes like Kimura Takuya. But the Hallyu proves to be too strong in the recent years and I find myself drawn to the country, the language, the food and of course the pop culture. 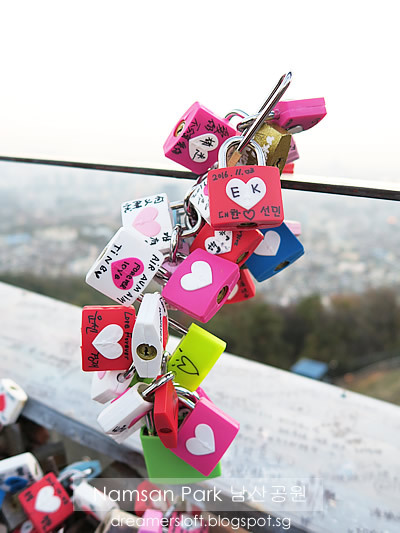 So a few months ago, I demanded urged the HB to book tickets to Seoul just for the two of us. The rascal didn't join us as I reckon it was going to be an intensive trip with lots of walking and places to cover. Well, I tried to pack a reasonably comfortable itinerary but still, being a first-time trip, there are those must-visit places as well as must-eat must-try stuff right? 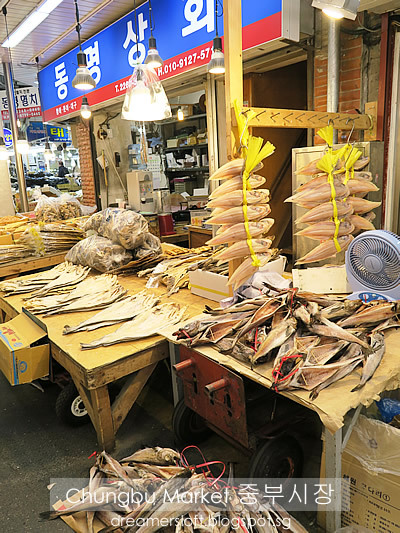 There are a lot of resources and blogs that cover Seoul these days, so it's fairly easy to gather information, the difficult part is to fit them into an itinerary. Here's my itinerary for the 6D5N trip and therefore the trip journal will be covered in 6 parts. We took a red-eye flight on Asiana Airlines to Incheon International Airport. Couldn't remember why we took Asiana Airlines instead of SQ but kind of regretted. The plane was an older model, seats on smaller side and entertainment system was lousy with poor resolution and limited selection of movies :( The flight there was still ok since we tried to catch some sleep for a packed itinerary. But our return flight was an afternoon flight, and hence a torture with limited entertainment. Worse of all, each passenger is only allowed one piece of 23kg luggage, which totally limited my capacity to buy things!!!!!!! There were so many stuff I wish I could buy!!!!!! No more Asiana Airlines next time. Ok, enough of rant and back to journal. 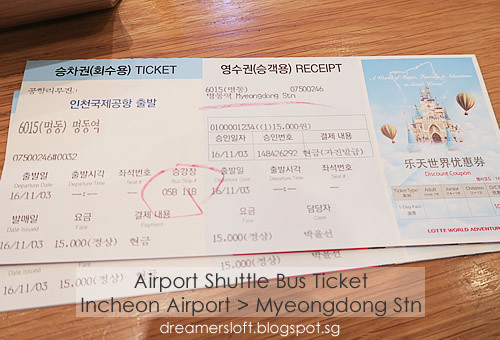 Touched down early morning and upon clearing the customs, we proceeded to the Shuttle Bus counter at the Arrival Hall to purchase our bus ticket to Myeongdong. 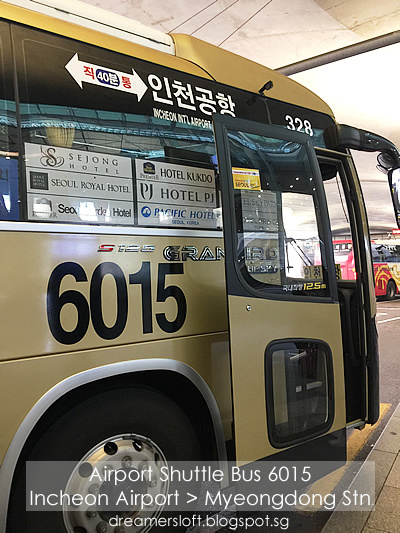 Bus to Myeongdong Station is number 6015. Each ticket cost 15000 won, and there's no fixed timing, the bus arrives every 15-20 mins. Passengers just have to queue at bus-stop number 5B or 11B to board the bus. We were a little peckish so went to Tous Les Jours Bakery for a light breakfast. Love the selection of sandwiches at this bakery cafe. After breakfast, we proceeded to bus-stop 5B and within 10 mins, bus 6015 arrived. Boarded the bus and it took us almost 90 mins to reach Myeongdong Station (near exit 8) which is the last stop. Thank goodness the seats were super comfy (hb commented that these seats were more comfortable than the ones on Asiana Airlines). 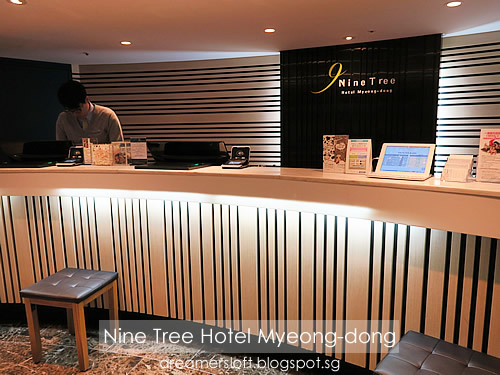 Nine Tree Hotel is just 1 minute away from the airport shuttle bus-stop, subway station exit 8, as well as the Myeong-dong shopping district, so it was fairly convenient. Reception located at level 3. We were too early for check-in (only 9am) and could only store our luggage with the hotel. Most of the staff here could speak excellent English so no worries about communication at all. And so we started on my planned itinerary for the day. 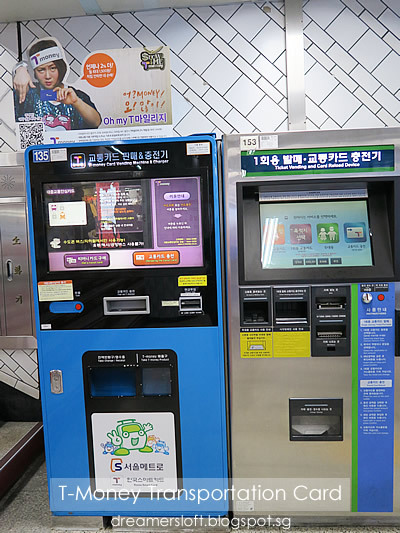 But first thing first, bought the T-money transportation card from the vending machine. This card is like a smart card/store-value card which allows travel on bus and subway as well as merchandise purchase at certain retail places like c-stores. 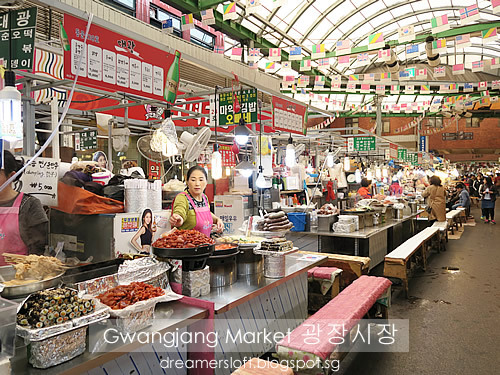 First stop - Gwangjang Market 광장시장 (www.kwangjangmarket.co.kr), one of Korean's oldest traditional market selling street food, fabric, bedding, hanbok and foodstuff. 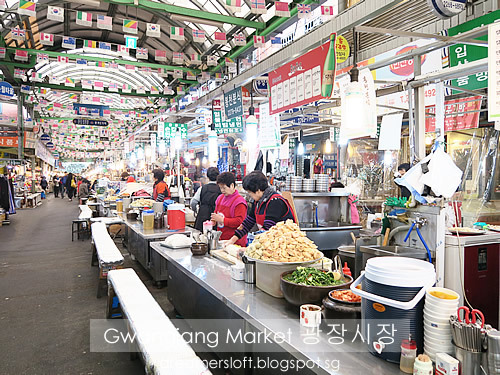 We were greeted with rows and rows of stalls selling different types of Korean traditional street food like Bindaetteok (mung bean pancake), Tteokbokki (spicy rice cakes), Mandu (dumplings), Soondae (blood sausage), Mayak Gimbap (mini rice rolls), Odeng (fish cakes) and more!! Most of the ahjumma were very friendly and kept beckoning us to sit down 앉아 and try their food. Some of them even spoke a smattering of English and Mandarin. We were certainly lost for choices and finally I chose a random stall, because I saw some locals eating there, so it must be good right? Ordered Mayak Gimbap and Tteokbokki and the nice lady boss offered us some soup from the Odeng. I love the gimbap, it was so fragrant with the sesame oil and seeds. The Tteokbokki was really chewy but a tad spicy. HB was not a fan of both and just ate a bit. In the end we couldn't finish the gimbap and had to tabao (for my afternoon snack). 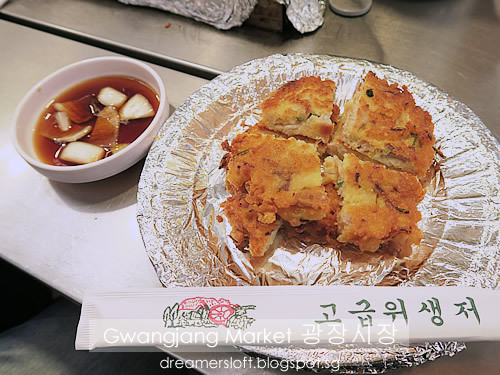 Bindaetteok (mung bean pancake) is supposedly the must-eat food here at Gwangjang Market. 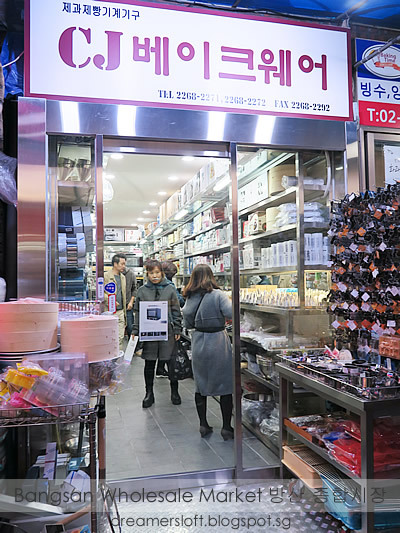 With so many different stalls, once again we selected a random store and ordered the pork one. 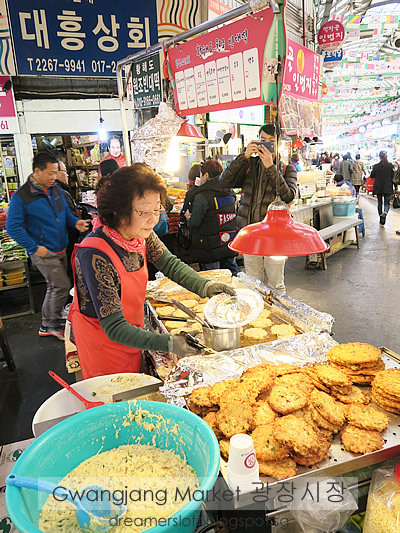 Bindaetteok is made using ground mung beans, glutinous rice flour with vegetables like cabbage, green onions, kimchi, bean sprouts (and minced pork in ours). It was a grease-bomb but tasted oh-so-yummy! Super crispy on the outside and slightly mushy/soft inside. 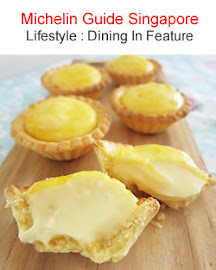 Very flavourful especially eaten with the soy sauce-onion dip. I thought HB won't like it, but surprisingly he liked it better than the gimbap and tteokbokki we had earlier. 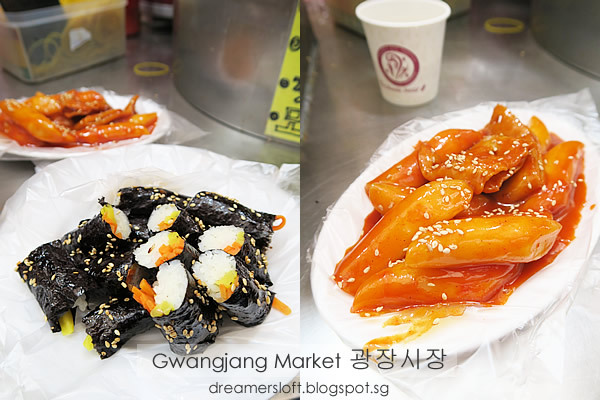 This is certainly one of the street food I missed from Korea, probably will try to make it at home! 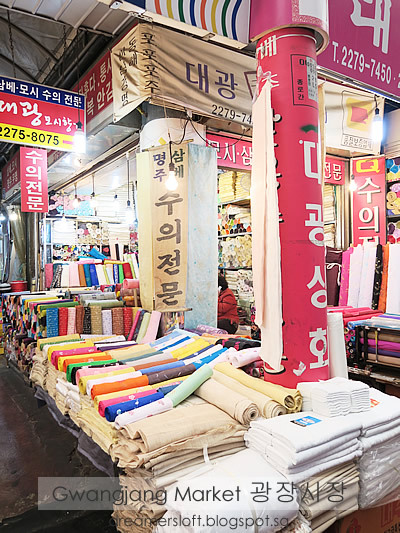 After our early lunch, we walked around the rest of the market and came across an endless section selling different types of bedding, silk and fabric. 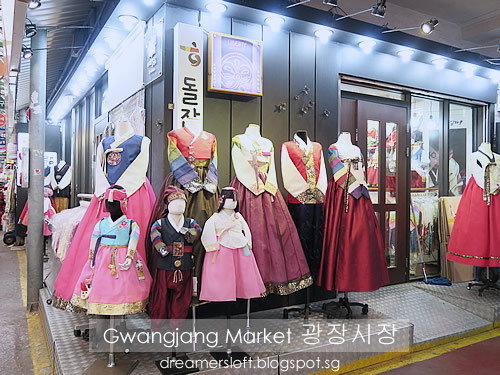 And lots of hanbok shops. 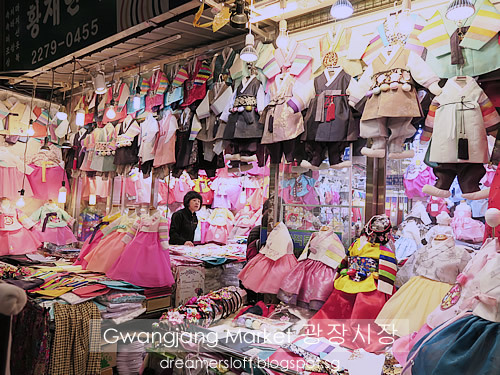 Gwangjang Market is definitely the place to go if buying hanbok. The kiddo ones are soooooo adorable, I had to stop myself from buying a set for my rascal (don't think there's a chance to wear). 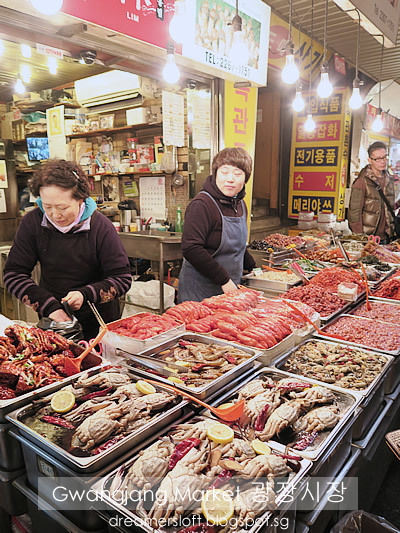 Another section of the market, selling traditional food stuff. 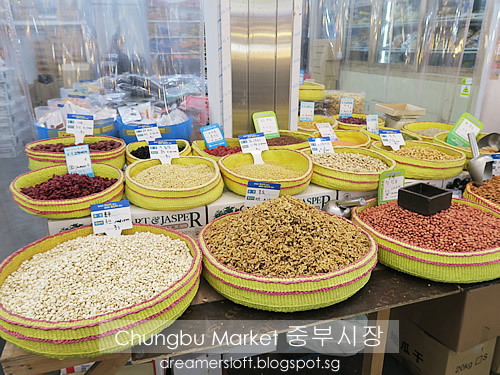 Stall selling dried chilli, hot pepper flakes (gochugaru), hot pepper paste (gochujang), doenjang (fermented soybean paste) and some other sauces which I'm not familiar with. 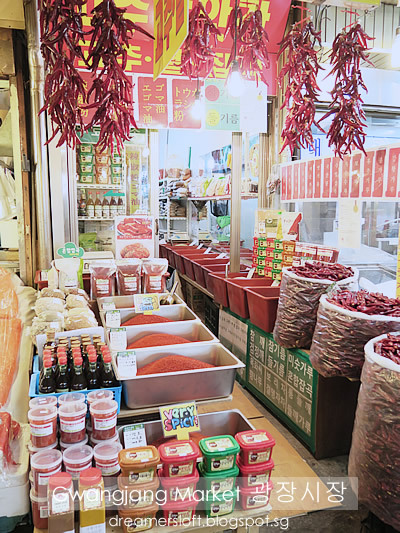 Many stalls selling different types of kimchi. Marinated seafood which we had no courage to try. 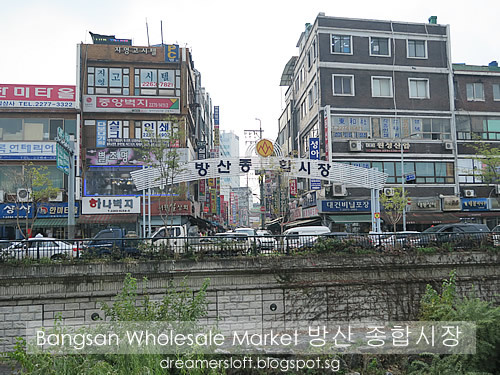 After Gwangjang Market, I wanted to visit Bangsan Wholesale Market which is nearby, opposite side of Cheongyechon Stream. 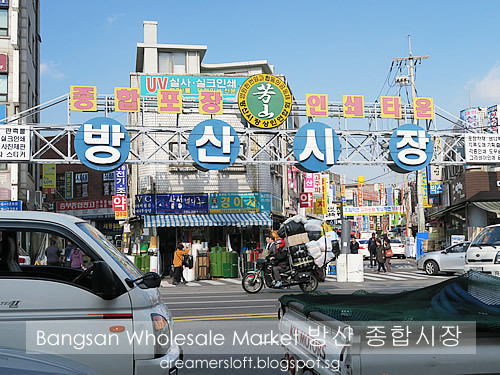 Bangsan Market 방산 종합시장 is a wholesale market selling a wide array of promotional and packaging materials and within the area, there are a small number of baking and cooking supplies shops. 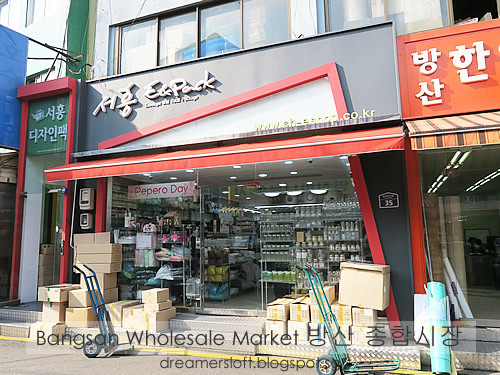 When I researched on baking supplies in Seoul, results all point to this area. This is another entrance to the area. 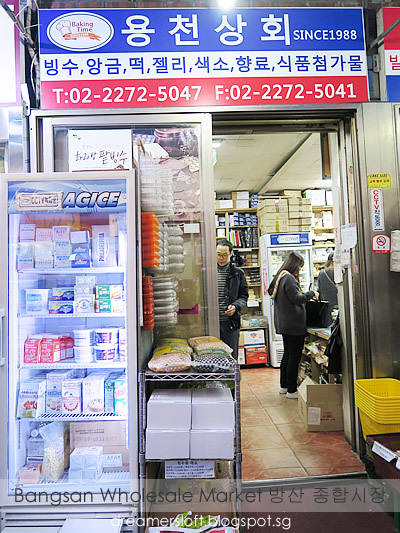 We walked around the area, and marveled at the huge selection of packaging supplies found here. 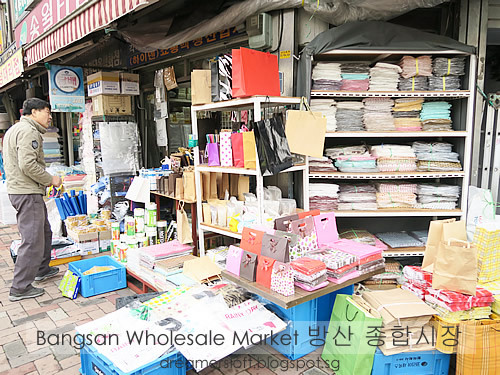 Most of the shops here sell stuff related to packaging and promotions in bulk, like 100 pieces and above. 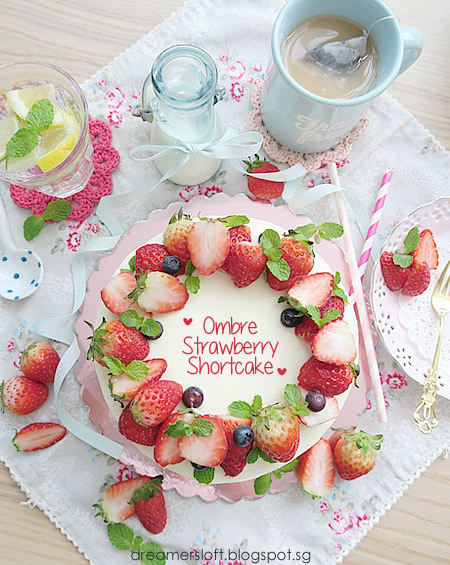 I was at this particular store and found disposable plastic knife packed neatly together with plastic toothpicks and matchsticks; the packet is ideal for my cake orders! Each packet cost 400 won but if I buy 100 pieces, only 200 won each. In the end I succumbed to the whole lot! Haha. 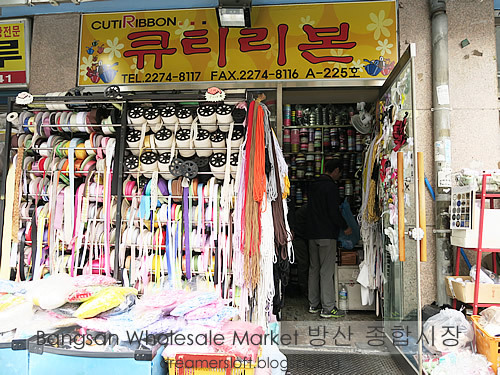 Selection of ribbons are amazing at this shop. 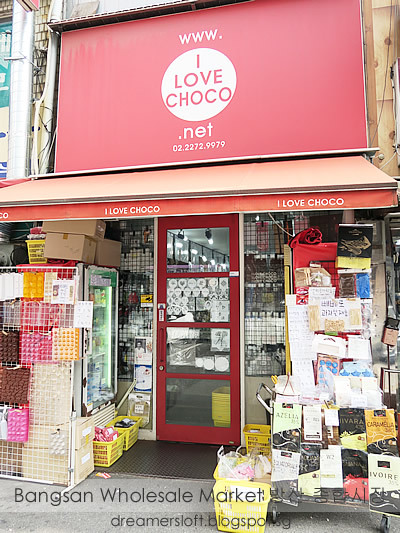 There are a handful of baking and cooking supplies shops, but a little disappointing as compared to Kappabashi-dori in Tokyo. I thought I could see more merchandise on Korean buttercream flowers which is super popular here, surprisingly no, only a small selection of piping tips, flower nail and scissor/clipper. 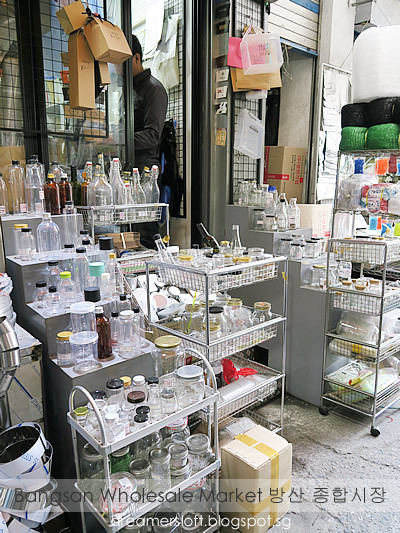 Interesting shop selling different types of bottle and glass containers. All in all, I was a little disappointed with the baking street here. But what surprised me was the packaging selection which is certainly more vibrant than the ones at Kappabashi-dori. 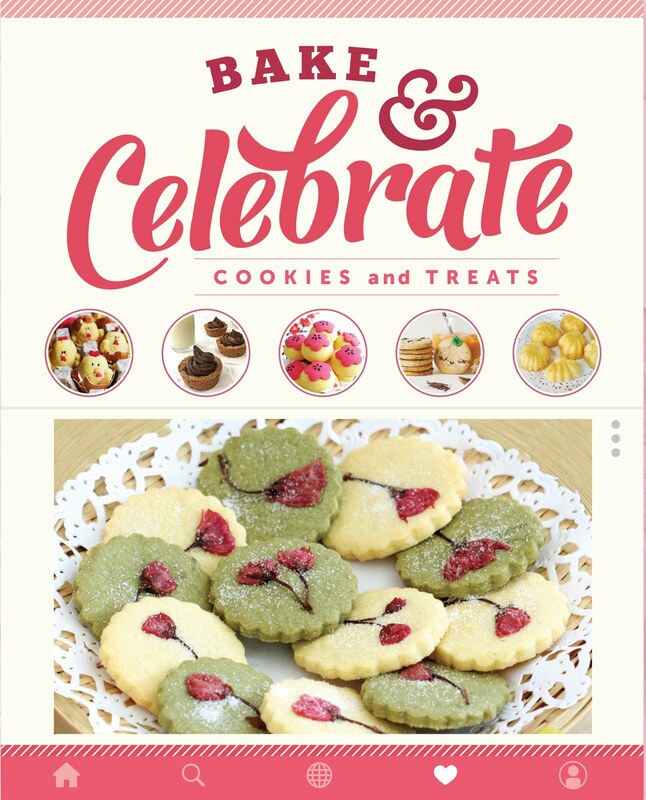 I would return if looking for packaging materials and ideas, but not for the baking stuff. 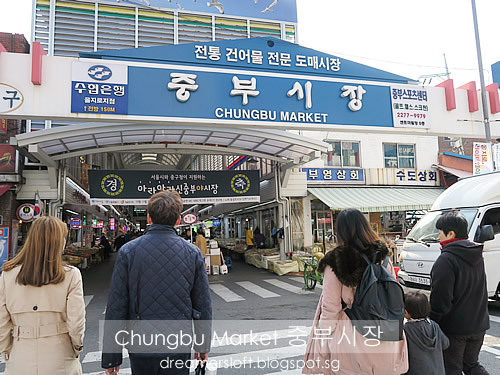 After we exited from Bangsan Market, we saw this Chungbu Market across the street and decided to pop over to take a look. 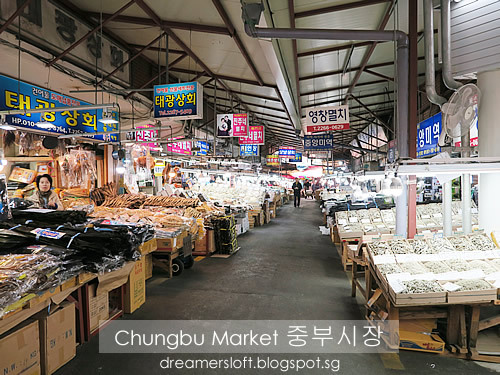 Jungbu Market (중부시장) is another wholesale market specialising in dried food such as laver, seaweed, anchovies, squid, dried fish etc. Yet another huge selection. 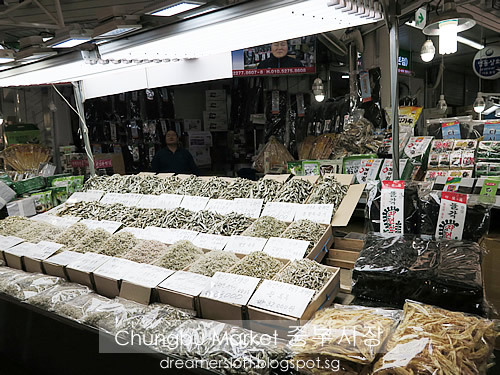 If I'm looking for dried seafood, I'll definitely come here! After a brief stroll around the market, we were done and found our way back to the hotel. It was 30mins to the official check-in time of 3pm but the staff was kind to let us check-in early. I booked the deluxe twin room which is slightly bigger than the standard room. 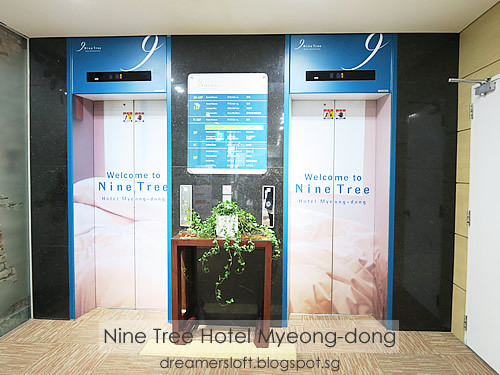 For stays at cities like Japan or Korea where rooms are typically smaller, I usually book twin rooms which are bigger so that we have more room for luggage. Overall, the room was clean and comfortable with all the necessary amenities, so no complaints. HB stole a nap for an hour while I channel-surf, oh those kdrama, variety shows and CFs (I love Korean CFs, because most of them star artistes). 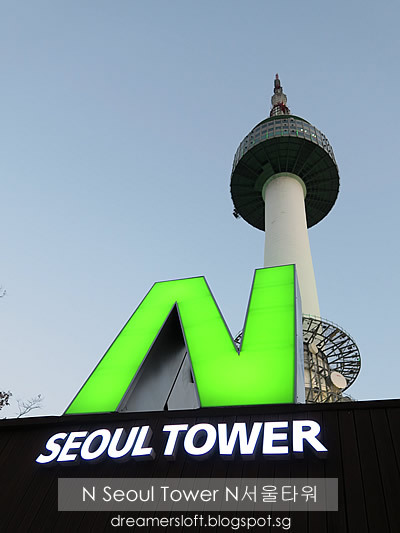 Next up, to Namsan Mountain / N Seoul Tower (http://www.nseoultower.co.kr/eng/index.asp). 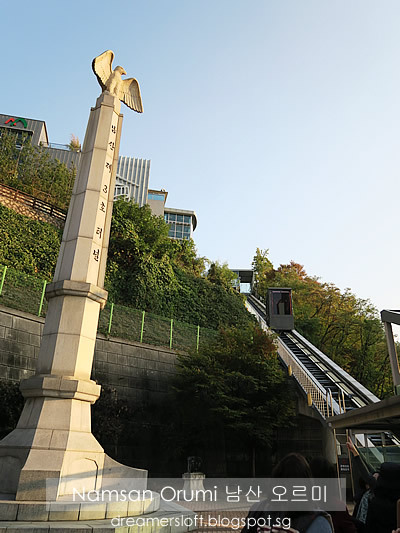 It took us about 15 mins' walk from our hotel to Namsan Orumi which is the outdoor elevator that brings us to the cable-car station. 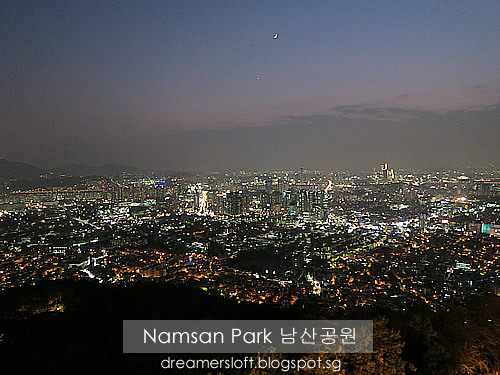 Then we took a cable-car ride up to Namsan Mountain. Although it was a Thursday, there was a long queue and the wait and ride up took us more than 20 mins. 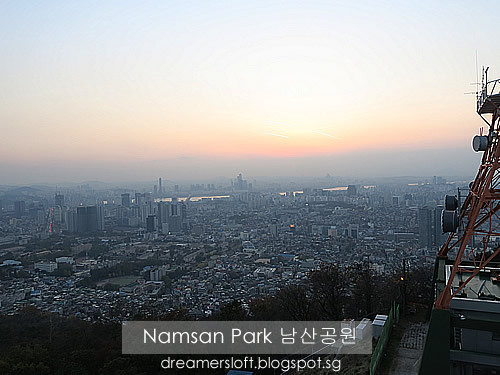 I guess many visitors were like us, wanted to go up the mountain before sunset to catch both the day and night scenes. 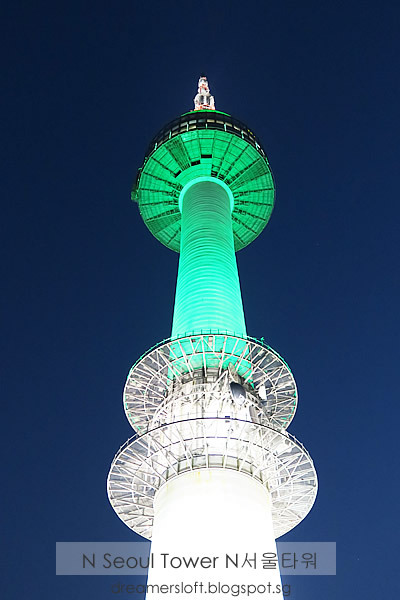 N Seoul Tower also known as Namsan Tower or Seoul Tower is essentially a communication and observation tower located on Namsan Mountain, marks the highest point in Seoul and the observatory offers panoramic views of Seoul and the surrounding areas. 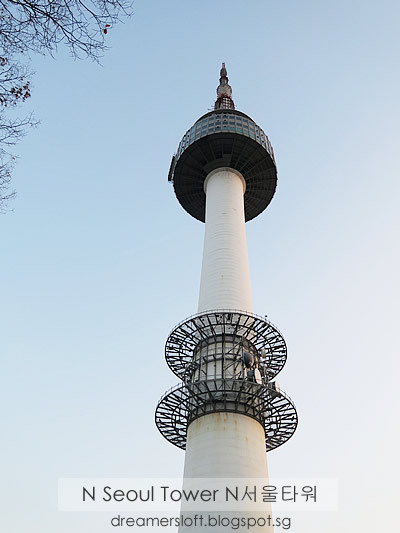 It's certainly a major tourist attraction as we saw throngs of visitors at the tower, which offers an observatory, several restaurants, gift shops, photo studios (hanbok experience), teddy beat museums, wishing pond etc. It was a gloomy day so we didn't want to spend additional money to go up to the observatory. The scenery at the open decks sufficed for us. Well, we could see why the place was popular. 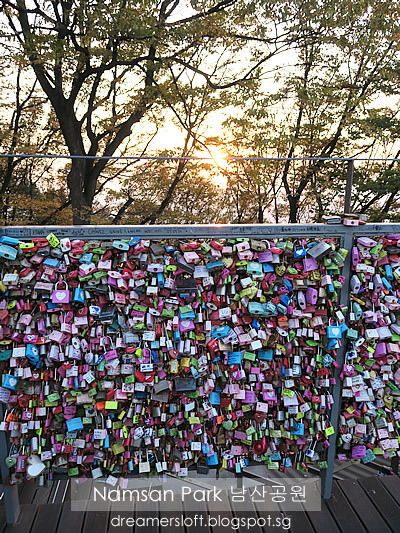 There were thousands or maybe millions of padlocks which were touted as love locks all over Namsan Park. Once the sun sets and we took a couple of night shots of the city view, we quickly proceeded down the mountain, didn't want to get caught in long queue again. 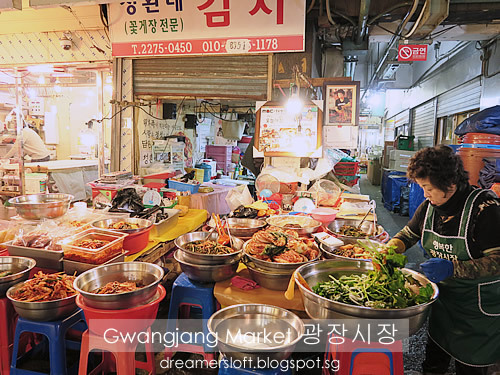 Once again, we were back in Myeong-dong and what better dinner than a Korean BBQ on our very first night in Seoul? 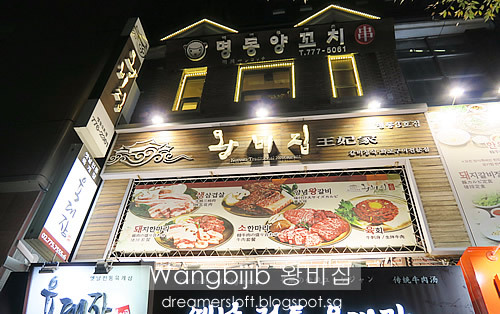 Wangbijib 왕비집 (www.wangbijib.com) is a mid-range Korean BBQ restaurant using charcoal grill and offers both beef and pork selection. 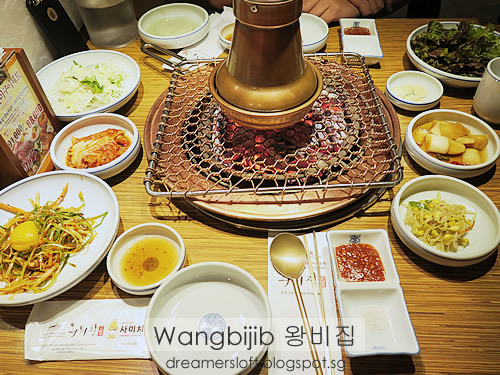 We ordered a set meal, which comes with banchan (side dishes), premium beef sirloin, marinated beef ribs, pork cheek, noodle and doenjang jjigae. 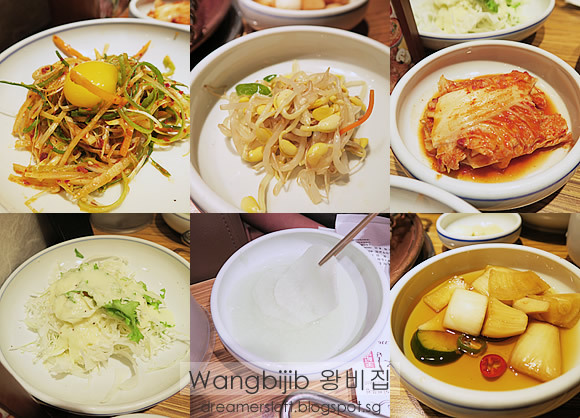 The banchan was not bad and we had a few rounds of the kimchi and cabbage salad. 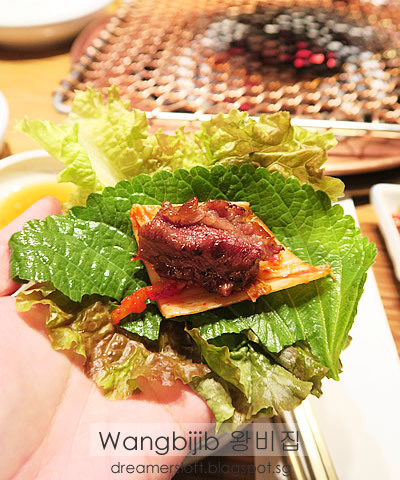 Ooooh, grilled beef on a cold autumn night in Seoul. Bliss! The quality of beef here was quite good! 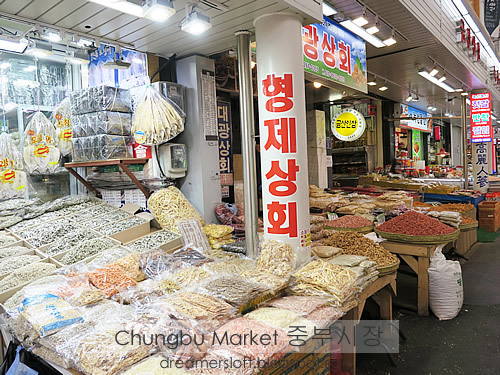 After the sumptuous dinner, we explored the Myeongdong shopping street for a bit before retiring back to the hotel to recharge for a packed full day's activity the next day. Stay tune for Day 2, where we wore hanbok and walked around the royal palace, as well as explore Samcheongdong and Bukchon Hanok Village!